(Right: Justin Baker is accused of defacing Torah and other items at hotel in Jackson, Tenn. Photo from Jackson Police Department). A 24-year-old security guard at the Doubletree Hotel in Jackson, Tenn., was arrested and charged with vandalism after damaging a Torah and other religious items this past Shabbat. Students from the Margolin Hebrew Academy in Memphis were in the hotel at the beginning of a school Shabbaton to Gatlinburg, scheduled to run through today. The items had been left in one of the hotel’s conference rooms on Friday night, and the damage was discovered Saturday morning. Police were called at 8:20 a.m. Aside from the Torah, Jewish books, musical items and “several religious venerated items” had been “marked on, torn or otherwise damaged or defiled,” according to a police report, which estimated the damage at over $60,000. The damage included written phrases of "Gentiles win, Jews lose" and "Submit to Satan," the Memphis Commercial Appeal reported. The Jackson Police Department was joined by the Federal Bureau of Investigation and Tennessee Department of Homeland Security. 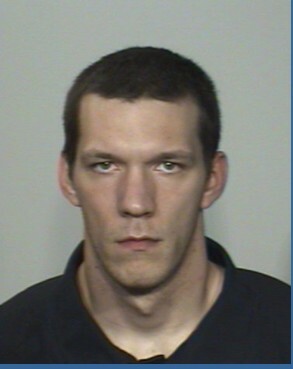 As the investigation continued, the overnight security guard, Justin Shawn Baker, became a suspect. His employer, Maxxguard, sent a supervisor to the hotel to review security logs. The supervisor called in Baker, who was interviewed by police and taken into custody. Baker worked for Maxxguard since October without incident, and is an Iraq War veteran with several service medals. He has been suspended without pay and the state informed of the arrest so his license will be suspended. Baker was arraigned yesterday in Jackson City Court, and bond was set at $100,000. He has a preliminary hearing on Jan. 24. The school was closed today due to an ice storm in Memphis. Rabbi Gil Perl, dean of the school, said they have been advised to not give interviews during the investigation. “It was an awful crime which thankfully our kids are handling very well and from which we hope they will only grow stronger,” he said. Rabbi Jordan Parr, who is visiting rabbi for the congregation, thanked "the good people of Jackson, the Police Department, FBI and other government agencies who have come together so quickly to apprehend this suspect and determine if this is an isolated incident. I surely hope that this is the case." He noted that it "is especially painful that the accused is a decorated veteran of our armed forces, one who has defended our country with honor overseas."